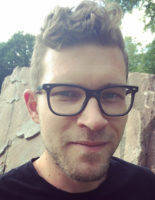 Martin Klein is a Lecturer (Wissenschaftlicher Mitarbeiter) at the Department of Philosophy at the Universität Würzburg. He was a Research Fellow at Topoi from 2012 to 2018. He studied philosophy, history and theology at Humboldt-Universität zu Berlin, the University of Toronto, the RU Groningen and the Sapienza Università di Roma and received his Ph.D. in philosophy from Humboldt-Universität zu Berlin in 2016 with a doctoral thesis on John Buridan’s philosophy of mind. His research focuses on medieval and early modern philosophy, mostly in the areas of epistemology, philosophy of mind and metaphysics.